This is essentially what the government has the right to do if Martial Law is ever put into force here in America. Thankfully there are things you can learn now that will help you to be ahead of the curve when this happens, and how you can protect those you love when it does happen. Should this ever happen you need to know how to best protect your family, which is what we aim to help you do in this article. 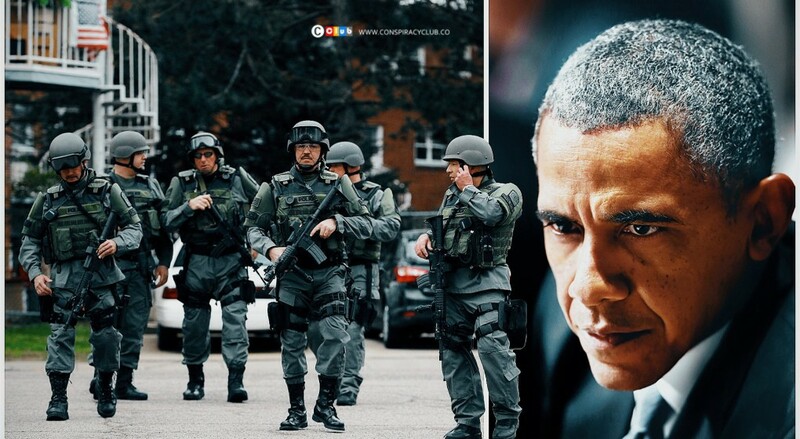 Martial Law is an extreme and rare measure used to control society during war periods of civil unrest or chaos. According to the Supreme Court Martial Law carries no precise meaning. However, most declarations of martial law have some common features.Generally, the institution of martial law contemplates some use of military force. To a varying extent, depending on themartial law order, government military personnel have the authority to make and enforce civil and criminal laws. Certaincivil liberties may be suspended, such as the right to be free from unreasonable searches and seizures, freedom ofassociation, and freedom of movement. And the writ of Habeas Corpus may be suspended (this writ allows persons who are unlawfully imprissoned to gain freedom through a court proceeding. There is a law in place that basically allows the Supreme Court to decide when there's a period of "civil unrest" in the country and take it over by way of our own military force. It's unconscionable that our own government that some of us have fought for would so quickly turn against it's own. But with every passing day this idea seems more like a matter of "when" than "if". 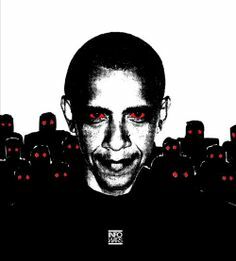 If you're waiting for the government to declare Martial Law in order to know if it's coming, then you might as well sit tight and wait with the rest of the sheep. There will be early signs that let us know that the enactment of Martial Law is drawing near. An Increase In Media Attention To The Dangers (this is a ploy to make you believe that declaring this state is for "your own good"
Those Who Draw Attention of Authorities Will Be "Relocated" for "Public Safety"
In Extreme Cases There Will Be Executions of Those Who Are "Resistant To Change"
It bears repeating, if you're waiting for the declaration of Martial Law to be the signal, then they'll probably be ringing your door bell by the time you hear it from your trusted news station. So prepare in advance so you and your family will have a fighting chance to get out. ​Just like preparing for any other disaster, you'll want to begin preparing for this situation by first knowing what to expect. But the best case scenario is that you're fully prepared before any of this happens and you have to risk sneaking out of a city to find safety. WANT A DONE FOR YOU BUG OUT BAG? We get it, you have a family,job and now a realization of a very real threat. You don't have time to make multiple bug out bags. So here's the best ready made one we've found so far that fits most scenarios. Great job once you get this first step taken care of! This will be an invaluable resource when the time comes to use it. However, you shouldn't depend on just one bug out bag. You should have several for different situations. Having a bug out bag worth it's salt is critical to surviving Martial Law, but in the end it's a very superficial and small step to take when preparing for something this big. So here's some DAILY tasks to keep in mind while on the road to preparation​. This ​should be a given, but it happens time and time again in life, if you don't want the world to know your business then don't talk about it! And how soon do you think the government will remove you as a threat once they find out you're plotting to escape or rebel? 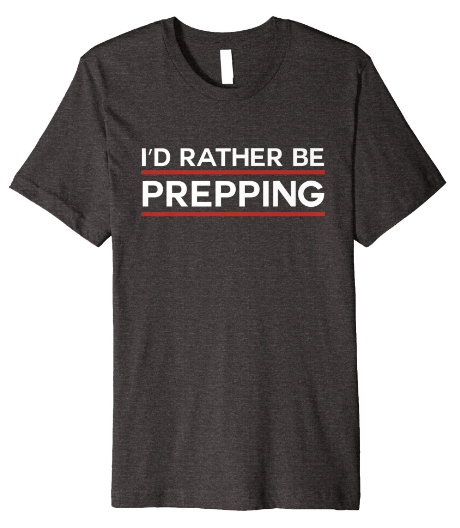 If you have a small community of preppers in your area that have a vested interest in your survival, then those would be understandable to communicate with. But if you're chatting up Joe Shmoe at the grocery store about how you just secured weapons and resources for your family to avoid the government you're either going to be arrested then or on your way home! You worked hard to get these resources, so don't let them get taken away by the first preliminary sweep the government does (remember this will likely start happening way before Martial Law is declared). It would be wise to keep your stored food or cache of weapons separate from your living quarters, but if you live in the city then it's understandable that an apartment doesn't make for great hiding. So if you live in a house with a flower bed that's an easy way to store items underground. Freshly moved dirt in a flower bed raises a lot less eyebrows than a square of dirt in the corner of your yard, are we right? 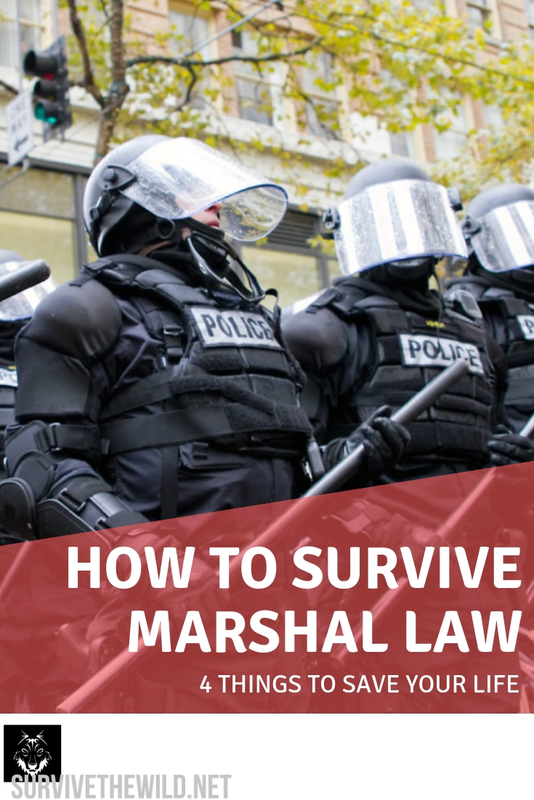 ​Who is more likely to be assaulted by the police in Martial Law, the one who keeps a level head and cooperates with the police when the situation calls for it, or the one who verbally assaults the police and refuses to follow any direction? If you're still confused the latter is the one who will be removed first. When dealing with a Martial Law situation you want to cooperate as much as possible with the authorities and give them no reason to remember you. Because when it comes time for action you don't want to be the first person they think of as a suspect. You want to be as grey and faceless as possible. It shouldn't be hard to believe that during this time there will be a need to use force in many forms. And it will likely come to deadly force with fire arms.